The mysterious death of a witness in a corruption probe taking place in Colombia has cost the founder of Colombia's biggest banking group $1 billion of his fortune, after already losing another $1 billion earlier this year, Bloomberg reported. 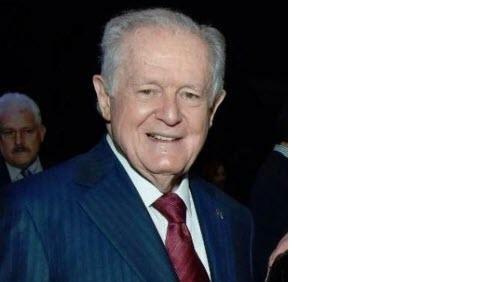 Luis Carlos Sarmiento, founder of bank Grupo Aval Acciones y Valores SA, has watched the market value of his fortune decline as government investigations into Brazilian construction company Odebrecht SA have cast a shadow over Sarmiento's bank and its former partners. A subsidiary of Aval had partnered with Odebrechtto build a section of the 621-mile Ruta del Sol highway connecting Colombia with the Caribbean coast. The partnership fell through when Odebrecht admitted using a bribe to win the contract. 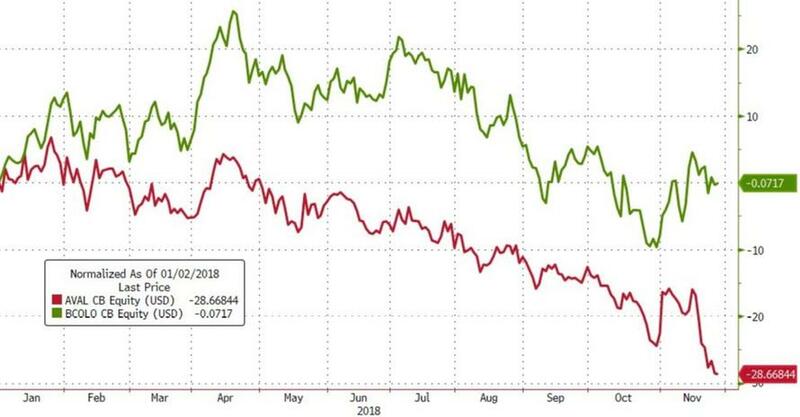 Shares of Aval are down 27% in dollar terms this year, which makes it easily the worst performance among the 20 biggest banks in Latin America. For comparison, Bancolombia was higher by 2% over the same period. The vaporizing of value comes after an auditor for one of Sarmiento's companies - Jorge Enrique Pizano - who had previously expressed concern for his own safety and provided evidence to the FBI - died this month from a heart attack. Pizano was outspoken about suspicious payments by Odebrecht dating back to 2013. His son, who went home from Spain for the funeral, also recently died in a poisoning - the circumstances of which are being called "mysterious". Since Pizano's death on November 8, Sarmiento has seen his personal fortune fall by about $1 billion, after falling another $1 billion earlier this year. One of the contracts that Pizano was interested in was a $2.7 million payment to a bank in Panama that wound up going through New York. Reportedly, Pizano had taken a four hour meeting with the FBI at the US Embassy in Bogotá to discuss it. 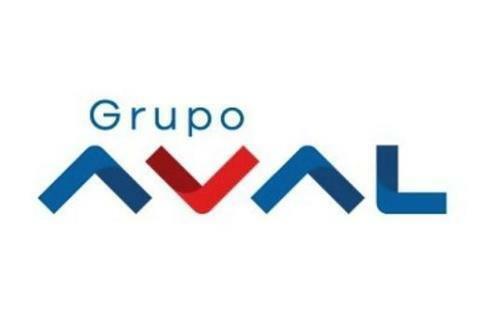 Aval's net income was up 79% in the third-quarter, but the company still finds itself under the cloud of these investigations. Aval has claimed its innocence and "repeatedly denied that it knew about its partner’s illegal actions" in its U.S. SEC filings. It’s been found that Odebrecht had bribed politicians and government officials to help it win contracts to build things like highways and power plants in various parts of Latin America. The company has already reached settlements in countries like the United States and the Dominican Republic. The Colombian case and the investigation into the deaths are both still ongoing. Meanwhile, Pizano reportedly made secret audio recordings of his conversations with Nestor Humberto Martinez, the lawyer who represented Aval, when he brought up his concerns about these irregular payments. Martinez, who is now the Nation's Attorney General, stated on Colombian TV that he passed on Pizano's comments to Sarmiento himself.